The group arranges various activities, which include fund raising events and social occasions; some of which are held on the island. Help and support is given, when required, for special camps, visits, guided walks and activities and events on the island. We are involved in the staffing of the Trading Post and we work closely with the National Trust on all aspects of the management of South Shore Lodge. 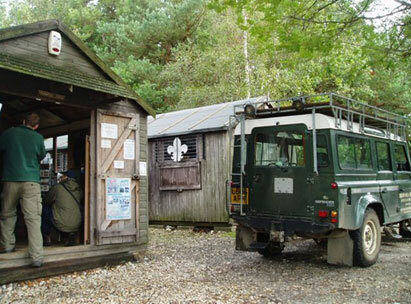 • Raise money to fund projects for Guiding and Scouting on Brownsea Island. • To spread the good news about Guiding and Scouting on Brownsea. 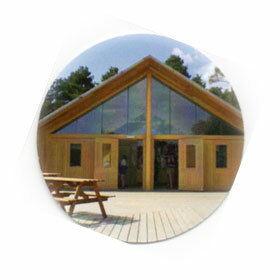 • To work with Scouting, the National Trust and other Island partners to enhance facilities and knowledge about Brownsea. When the Island was opened to the public by the National Trust, in 1963, Scouts & guides were quick to visit & camp. To help fund equipment for the camp site area a Trading Post was set up to sell souvenirs from Brownsea Island Scout & Guide camp. They began in a hut with a similar hut for camping equipment. Then for the 2007 centenary of the Scout movement & the experimental camp a new building was designed & built on the site of the aging huts.The first customer was served on July 23rd just in time for the centenary celebrations. 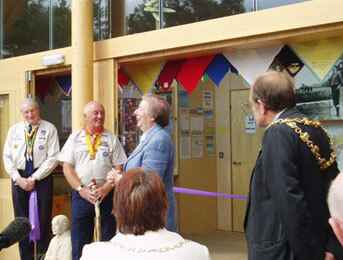 The new buildings were opened officially by the late Lady Patience Baden-Powell on 14th September 2007.